People can't get enough of this mom's surprising message for "the other woman". They are often the villain in the story: the evil stepmother who has it in for the kids and wants to destroy them, manipulate their father and cut their mother out of their lives. 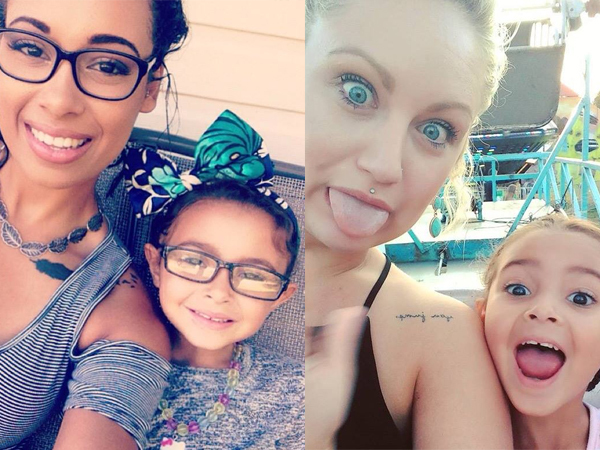 But not all stepmothers (or dads' new girlfriends for that matter) are the stereotypical hateful bullies portrayed in movies and on TV, says Audrey Nicole, a mother of Newport News just outside of the US state of Virginia. “This is my daughters fathers gf. The sweetest thing ever! I'm super thankful for her because when she visits her dad she feeds her, takes care of her, buys her gifts, and basically takes care of her like her own,” wrote Audrey in a Facebook post where she praises Whitney Mcgraw. The post made waves on the internet and has been shared almost 150 000 times since it was posted in November. It was shared by Americans and people all around the world and Audrey later wrote on her Facebook that she was shocked at people’s positive reaction. Audrey says she doesn’t understand why so many mothers are resentful towards the ‘other woman’. Her daughter, Riley, is lucky to have two women in her life who love her, she wrote. “I would never make her feel like an outsider I'm extremely thankful for this girl. Ladies grow up and focus on being a good mom,” she added to the post.